2019 Oscar Nominations: The Complete List Linda Holmes takes a look at the list of this year's nominees, which includes some heartening nods and surprising snubs. Oscar nominations were announced Tuesday morning. The awards show is scheduled for Feb. 24. If you wanted to take the nominations as a whole as a sign of the exciting year that 2018 was, you might focus on the best actress nomination for Yalitza Aparicio, the first-time actress who anchors Alfonso Cuarón's beautiful Roma, a black-and-white subtitled film widely available on Netflix. You might focus on the seven nominations for Black Panther, the best director nomination for Paweł Pawlikowski for Poland's Cold War, or the fact that both of the most-nominated films with 10 nods apiece, Roma and The Favourite, are stories of women not oriented around their relationships to men. You might thrill to the best animated feature nomination for Spider-Man: Into The Spider-Verse, which reimagined the superhero film — narratively, visually and culturally. On the other hand, if you wanted to see those nominations through the lens of their considerable disappointments, you might note the lack of best picture or best director nominations for Barry Jenkins' beautiful and unforgettable If Beale Street Could Talk; the failure to nominate Ryan Coogler, one of Hollywood's best rising directors, for the triumph of Black Panther; the failure to nominate any female directors at all again and very few female screenwriters again; or the complete shutout of spectacular achievements like Bo Burnham's Eighth Grade and Debra Granik's Leave No Trace. It would have been lovely to see a nod for Michelle Yeoh for Crazy Rich Asians in a year in which the film was such a powerful force. There are always delights and there is always dismay. It's lovely to see Melissa McCarthy and Richard E. Grant nominated for their work in Can You Ever Forgive Me?, and to see the script from Nicole Holofcener and Jeff Whitty nominated. But where is the director, Marielle Heller? Where is the film's best picture nomination? It's thrilling to see Free Solo, an exciting and unconventional rock-climbing documentary, nominated for best documentary feature. But nothing for Won't You Be My Neighbor, a fine film that also resonated beautifully with audiences? The eye of the beholder is a tricky thing. Nominations rarely come as a big surprise. There were some genuine upsets (or reverse upsets) on this day, like the lack of a best director nomination for Bradley Cooper for A Star Is Born, despite the film's best picture nomination and nominations for acting, cinematography, original song, sound mixing and adapted screenplay. There was not even a nomination for Justin Hurwitz's original score for First Man, which just won the Golden Globe. But for the most part, it went as expected: big hauls for Adam McKay's Vice (eight nominations), Black Panther (seven nominations), Spike Lee's BlacKkKlansman (six nominations), and Bohemian Rhapsody and Green Book — the two recent Golden Globe best film winners in drama and comedy respectively — with five. Now and again, the Oscars are legitimately exciting. It may take a misread best picture envelope to make it so, but it does happen. Whether it happened on Tuesday morning may depend on just how many advances and retreats in a given year you have come to expect from the Academy. 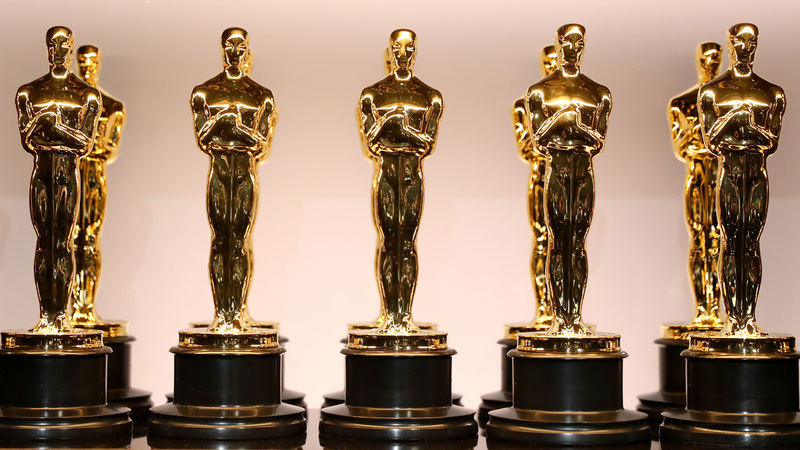 This year's Academy Award nominations were announced Tuesday morning. Below is the complete list. Mary Poppins Returns: Is It A Jolly Holiday?